I'm impressed you're trying. 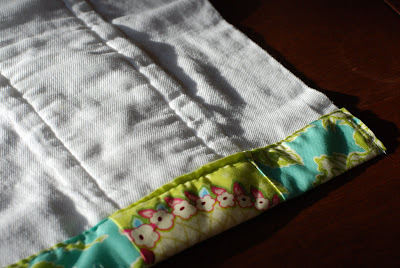 I'm a good seamstress at heart too but the skills just aren't there. I'm so impressed. I love all the fabrics. 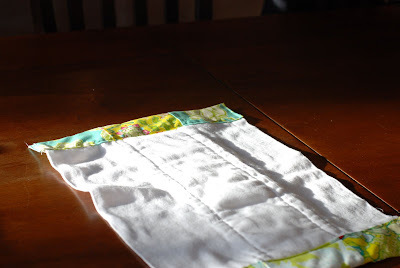 I've been feeling the same way, as well, like I SHOULD be a good seamstress, and the desire is definitely there, but I just don't think my dreams warrant a sewing machine. I'm hoping to inherit a hand-me-down someday. Keep it up. I'm excited to see what else your creative little mind will come up with. I think it is great! I never cared weather the seams were straight anyway. The whole point was that you made it. 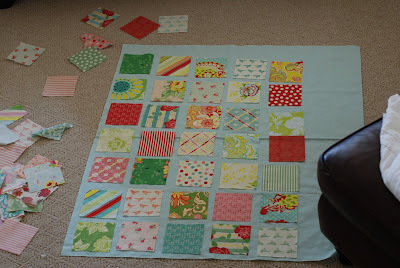 I once made my Grandma (the quilter) a crazy quilt by piecing together any scrap I could find. 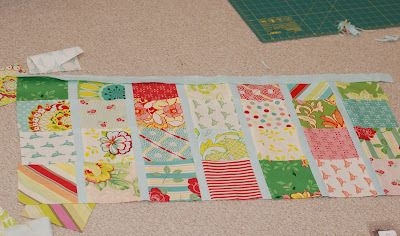 Her quilting group thought I was a genius. Go figure. I agree...I don't think it really matters that the seams are all straight. I think it looks really great. Plus I can't help but feel that its a little bit my fault for giving you bad design advice. I'm sure there was a better way to do it then I told you. Sorry. Ella will love it!. 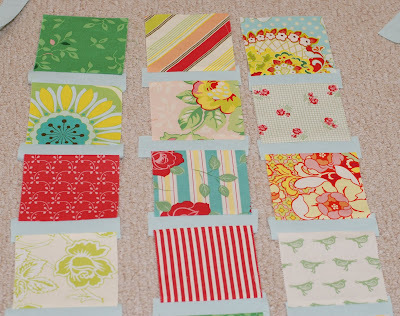 Oh and picking out seams is all part of sewing. 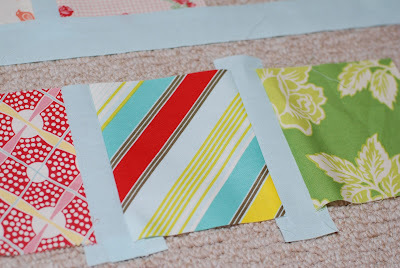 You (and Kimmy) have such a knack for putting fabrics together! They look so good, I wouldn't even worry about the blue strips.